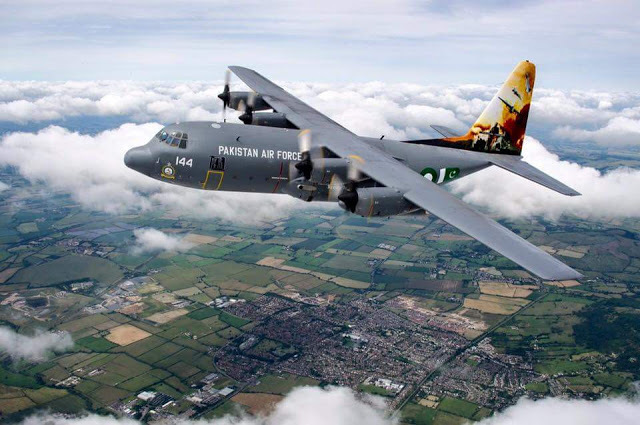 Pakistan Air Force made a comeback to the Royal International Air Tattoo Show after ten years with its Lockheed C 130 Hercules this last week in United Kingdom and won ‘Concours D’ Elegance award where more than 50 countries with 200 different aircrafts participated in the show. 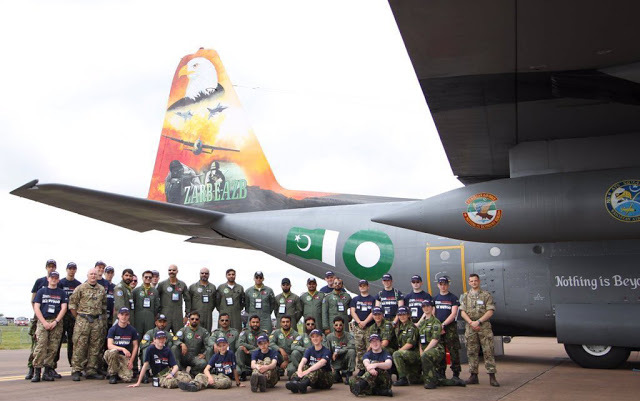 Pakistan’s C-130/L-100 Hercules was tail painted up to commemorate Operation Zarb-e-Azb, a military operation against militants. The Vice Chief of Air Staff, Air Marshal Asad Lodhi also came on the last day of the show and congratulated his air and ground crew for the win. Later, visitors were also briefed about the role of armed forces in the eradicating the menace of terrorism. 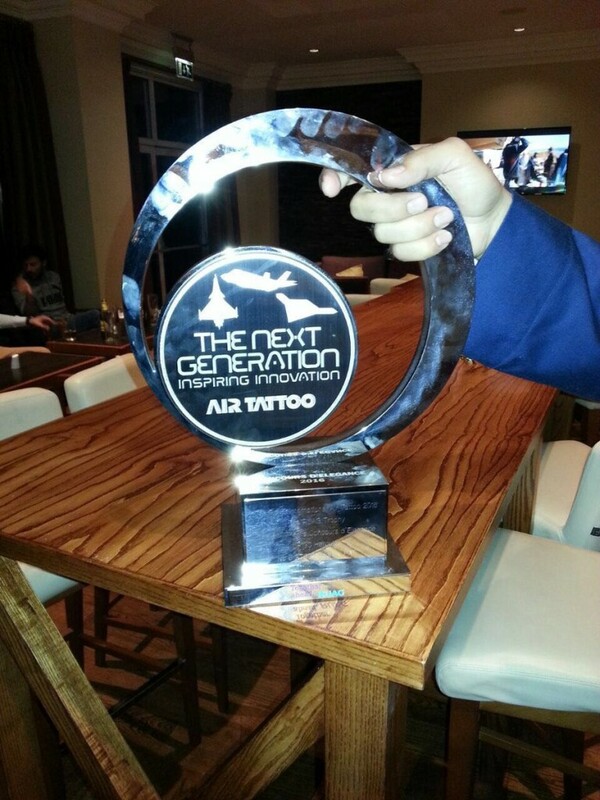 This was the second time that PAF won a prestigious trophy at RIAT. 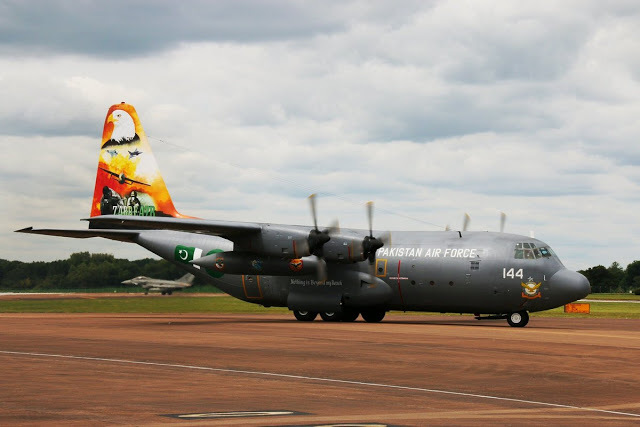 Earlier in July 2006, when Pakistan participated the last time, it’s C-130 won three major trophies. The Royal International Air Tattoo, RAFCTE, held from July 8-10 at RAF Fairford in Gloucestershire. in UK, is known for staging the world’s largest military airshow every year.